As financial pressure mounts on Greece to sign a deal with its foreign lenders, Prime Minister Alexis Tsipras is facing what may be his biggest problem yet: the struggle within the ruling Syriza party over whether to swallow creditors’ tough terms or default. Dissent is spreading within left-wing Syriza against the economic policies Greece is likely to have to enact in return for fresh bailout funding from other eurozone governments and the International Monetary Fund. 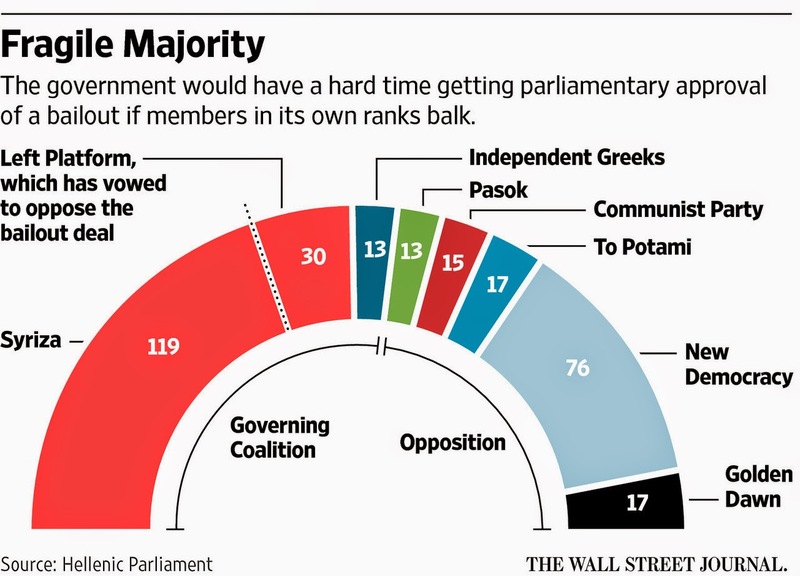 The Syriza-led coalition government holds only a thin majority of 12 seats in Greece’s 300-seat Parliament, so a rebellion against a deal could easily cost Mr. Tsipras his governing majority. 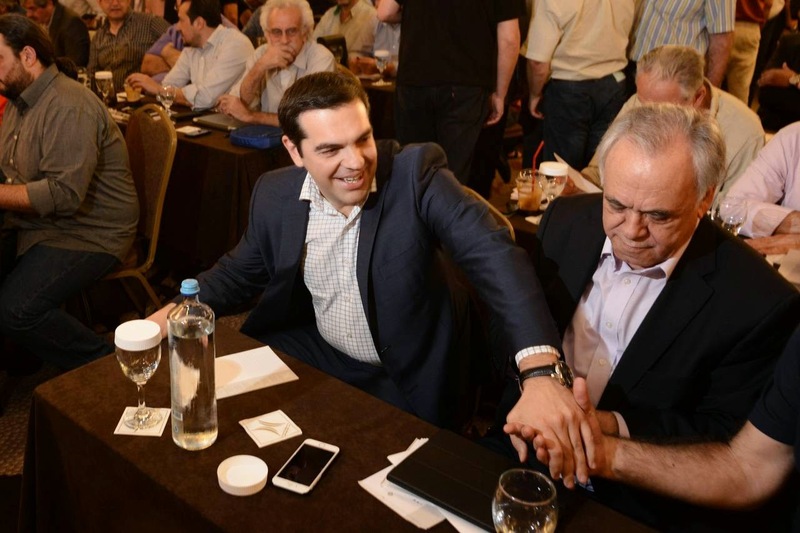 Greece’s lenders are particularly worried about vocal threats by Syriza’s Left Platform, a hard-line leftist faction within the party, to reject any deal that crosses ideological “red lines” by cutting pensions or workers’ rights.